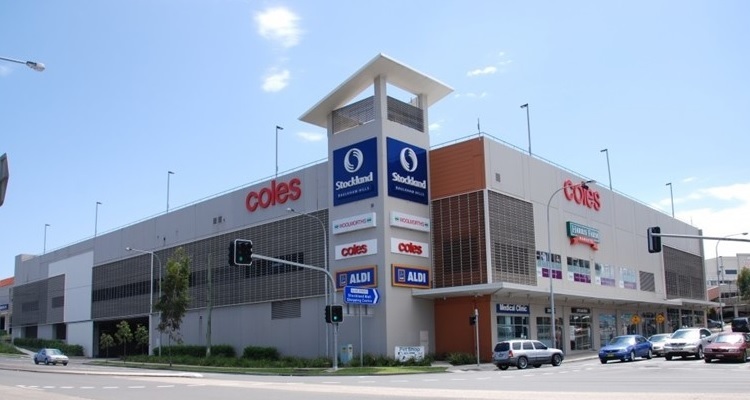 The management team at Stockland Baulkham Hills Shopping Centre in NSW has turned to Smart Parking to improve the customer experience of parking by deploying overhead parking guidance SmartGuide – a solution that detects the occupancy status of every parking space within the centre’s car park. As the first point of contact with the shopping centre, the challenge of balancing the needs of those visiting and working at Stockland Baulkham Hills has created a need to deliver innovative solutions in managing customer parking needs. Stockland Baulkham Hills has 831 car parking spaces, with over 500 of these undercover to ensure shopping is easy and convenient for customers. The SmartGuide deployment at Stockland Baulkham Hills has seen the installation of 826 vehicle detection sensors inserted in each individual bay – both undercover and surface level. Each sensor is linked to an overhead indicator, which lights green or red, depending on whether that particular space is occupied, with additional blue lights indicating mobility bays and magenta lights highlighting vehicles in contravention. This is complemented by 50 variable message signs, which display the number of available bays alongside the number of free mobility bays down every aisle, at every driver decision point. “The new system allows for quick and easy identification of available parking bays, which in turn has reduced customer’s time to wait for a space. This has also assisted in the flow of traffic to enter the carpark, reducing traffic on the surrounding roads. The new Smart Parking system also compliments the Centre’s recent introduction of new LED eco efficient lighting and the installation of two electric vehicle charging bays. The system has been online just a few weeks and customer feedback so far has been very positive. Customers have commented on the brighter car park, new colour scheme and are very satisfied with the improvements to the ease of finding an available car parking space. The installation of SmartGuide has also had a positive impact on driver perceptions of the centre as a whole – an additional bonus for Stockland Baulkham Hills. Occupancy data collected through the sensors is relayed in real-time to SmartRep, Smart Parking’s car parking management software tool. Accurate vehicle-by-vehicle, minute-by-minute data on actual usage of the car park means that Stockland are now able to understand the car park usage patterns as well as enforcement efficiency allowing them to make informed decisions on parking policies. Retailer revenues are also maximised through optimum efficiency.